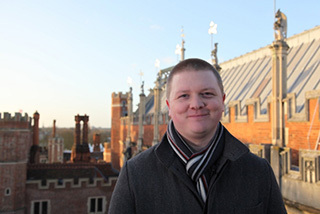 We are delighted to have a Guest Article from Daniel Jackson, a Curator of Historic Buildings for Historic Royal Palaces. Daniel tells us about the history and construction of Wolsey's great masterpiece on the Thames that became a Royal Palace and an icon of the Tudor age. Thomas Wolsey rose from being the son of an Ipswich butcher to being called the Arbiter of Europe and a credible candidate for the Papacy. Whilst he was not the first man to climb to power through the Church, he was one of the most talented, ambitious and controversial figures to wield power in England. Henry VIII's right hand man for fifteen years, his eventual fall was as precipitous as his rise. Wherever Wolsey went, whether on a diplomatic mission to France or the Empire or merely to carry out his daily functions as Privy Councillor and Lord Chancellor, his journeyings were occasions of pomp and pageantry. Wolsey was a byword in his own time for magnificence and extravagance. He understood the importance of spectacle and outward appearance as a tool of power and brought this to bear in his building programmes and his diplomatic triumphs. Wolsey is the subject of one of the earliest biographies ever written, and then a couple of works in the 1970s, including the best academic reference, The King's Cardinal by Peter Gwyn. 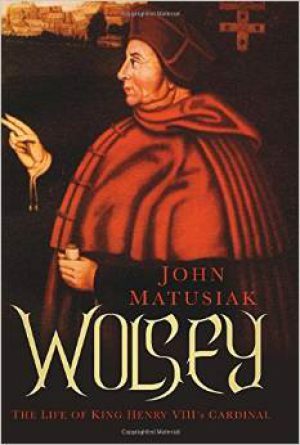 The most recent biography of Wolsey is Wolsey: The King's Cardinal by John Matusiak.